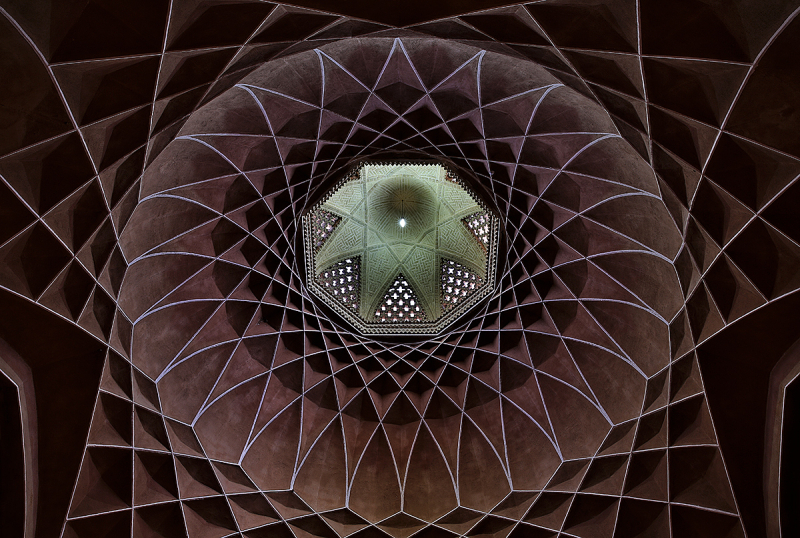 omid (mashhad, Iran) on 25 May 2015 in Architecture and Portfolio. I'm not sure what I see, but it is fabulous. Le manoir a été construit il ya environ 300 ans. Sensational construction and, as always, perfectly presented. Superbe graphisme! Très beau cadrage! What a beautiful and special ceiling, is this a mosque ? The mansion was built for "Yazd" city governor about 300 years ago. Fantastic - like a flower ! Awesome capture of this wonderful vault - ceiling ! Very cool geometric patterns...almost like a spiders web. Magnificent shot! The detail is superb! Stunning imagery that is so eye-catching!! Gorgeous capture!! A pristine and beautiful gem-like graphic image. This has superb detail. Perfect shapes and graphism, this is fantastic! Beautiful indeed!! Oh la la ! Ce que c'est beau ! A fantastic graphic beautifully captured. Love it. Outstanding ! Excellent symmetry in this fine framing. Fabulous place!..beautifully brought to us!.. Très belle capture architecturale ! An incredible roof, great picture! Congrats! Congratulations on the spotlight my dear omid! Superb shot here! This is stunning! So beautiful! The lines are spectacular! Congratulations on the Spotlight Omid! Quelle géométrie et vue fantasitque dessin tout en finesse. با شادباش به عکس ویژه خود را.تصویر به خوبی سزاوار. Wonderful photograph, illusive yet iconic, and keeps one wondering if what we see is real in designed architecture, or just a superb drawing. I love that you keep us guessing. Congratulations on the Spotlight. It is a real designed architecture. The mansion that built about 300 years ago in "yazd", Iran. . . and a Spotlight, too . . . Congrats again ! :)) Congratulations on the Spotlight !!! Félicitation pour ce retour en beauté !!! Congratulations on this back beauty !! !